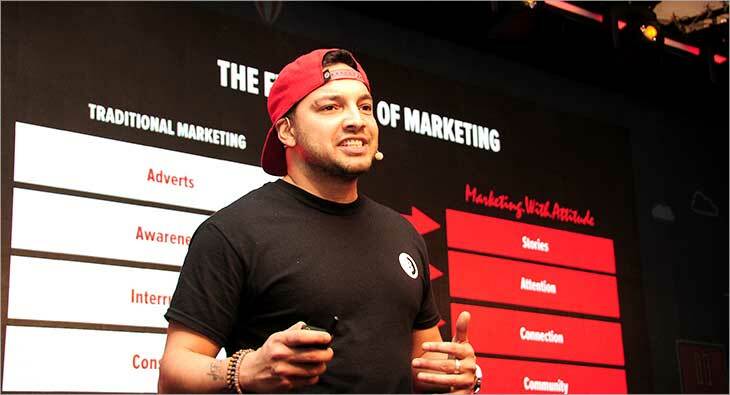 On the last day of Goafest 2019, Phil Kemish, Co-Founder, Disrupt Marketing & Brandtrepreneur, spoke about the four Ps of marketing attitude. He spoke about how brands need to understand human connections in today’s digital age and how they have to earn attention. Kemish believes that in today’s time no one cares about advertising. “No one wakes up in the morning and feels ‘I can’t wait to see an advert.’ There is a generation of people who love ‘skip ad’ button. And another 600mn people use an ad blocker. I pay for Netflix, Spotify, you cannot get to me. There is more choice and less time. And attention is all-time low. You can’t buy attention anymore, you have to earn it. This is the fundamental principle of our agency’s philosophy. You can’t pay for adverts, you have to earn attention,” he explained. Explaining it further, Kemish listed out the four Ps of marketing attitude – Purpose, People, Passion and Physical. “Having a purpose sparks your brand’s story and it is the first step to get your Ps right. The second P is people. People are your brand’s tribes – the citizens that make up your brands. Two third of your marketing is done by the consumers. People trust people. If the trust is broken from the advertising point of view, we need to relook at how we use and connect with our consumers. The third P is passion. You need to know what people care about. Passion is a thing that amuse us. We all have different passion. Its brands getting involved with communities. Connecting to people’s passion builds communities not consumers. And the last P is if you find people and understand their passion, you need to get physical. Physical to bring the brands alive. Take out the digital world that you are living and connecting to people, social humans are really important. Ninety one per cent of consumers feel more connected to brand after experiencing it,” he concluded.